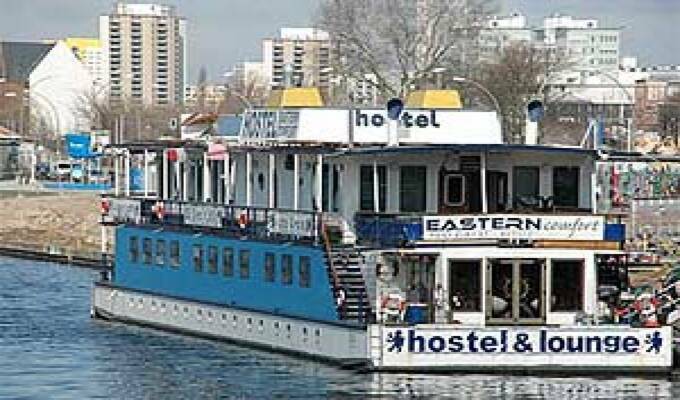 The hostel boat &ldquo;EASTERN COMFORT&rdquo;, moored between two very lively districts in the centre of town, looks forward to welcome you onboard with its modern, luxurious atmosphere it&rsquo;s unique in Berlin! Through the portholes of our 2nd class four-bed, triple-bed, single-bed, but mainly double bed cabins, you can see and hear the rippling of the river 'Spree', the main river leading through Berlin. All cabins have their own toilet/shower. For the ones of you, who like it very comfortable, we offer 1st class single- and double cabins.